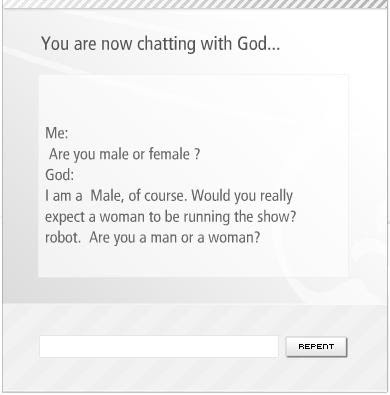 iGod is an an artificially intelligent chat bot. He is the kind of God that you can talk to anytime through the Internet and he answers you back immediately. iGod is not exactly the most intelligent and up-to-date chat bot around, but it was fun chatting with him and finding out the things that he know and doesn’t know about.